the Xanavi Nismo GT-R (Depicted in item 24308) giving the GT-Rs an incredible 1-2 finish. At round 6 at Suzuka, Team Impul recorded its first win for the season. 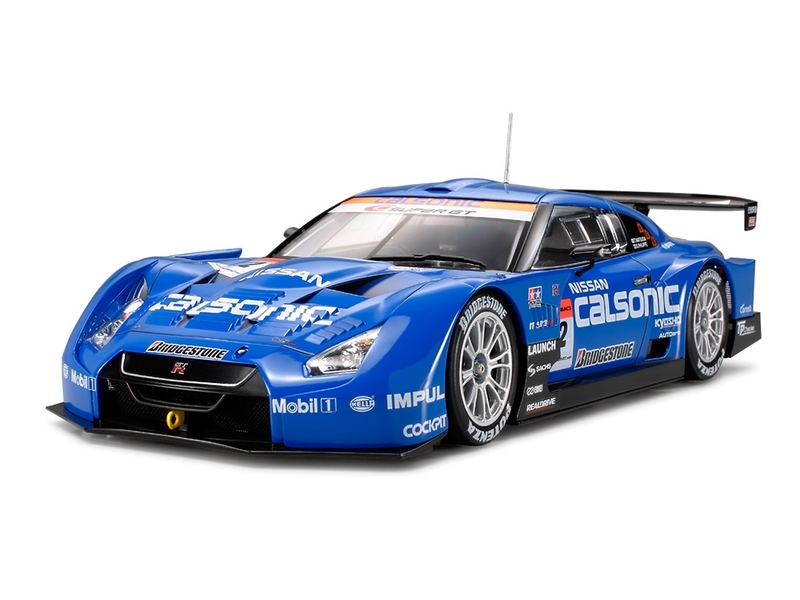 raced at Fuji Speedway at the 3rd Round of the 2008 Japan Super GT Series. Metal plated parts accurately represent the GT-R"s roof. The depicted 18" front and 17" rear slicks add realism to the model. Excellent decals made by Sanko Mark included. Metal transfers for the GT-R emblem and mirror surfaces included. Nylon mesh, tire markings, and masking stickers included.